Your air conditioner is an essential feature in your home. You need easy access to cool, comfortable air when the temperatures are rising outside. 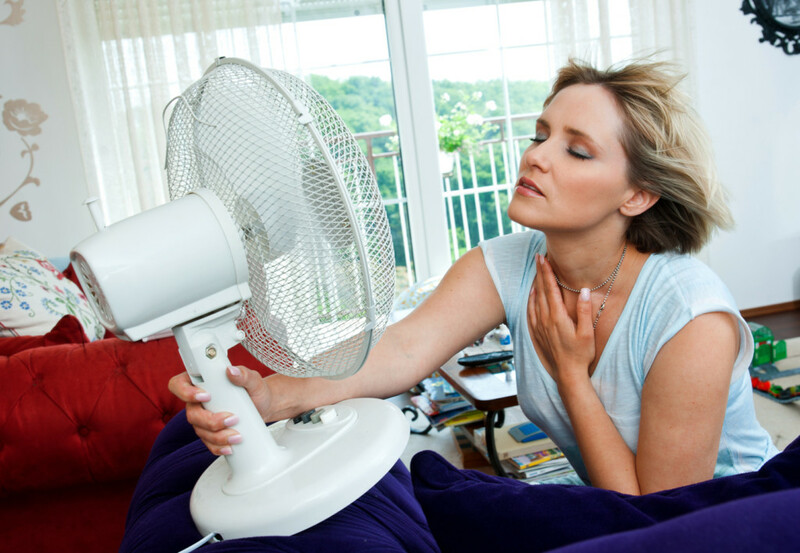 If your air conditioner stops working, you’ll suffer from more than just the heat and discomfort. Your air conditioner also helps to naturally dehumidify the home. A hot, humid home creates the perfect breeding ground for mold, mildew, and bacteria. Keep your air conditioner in top condition however you can. Start with these DIY fixes, then call a professional technician if the problem persists. If your home isn’t as cool as it should be, the first thing that you should check is whether the unit is running. If your air conditioner isn’t running at all, check your breaker box to see if a breaker tripped. Resetting the breaker might resolve your issue. However, if your air conditioner repeatedly trips the breaker, this is an issue that you should turn over to a professional technician. The air filter in your air conditioner should be changed at least once every three months. You should inspect the filter monthly to see if it needs more frequent attention. 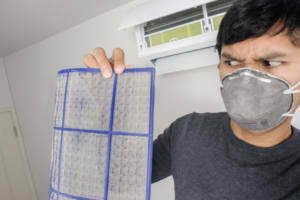 If you’re struggling to keep your home cool, a clogged filter could be playing a major role in the problem. If you haven’t changed your filter in the last month, try making this quick and easy swap first to see if it helps the problem. Check where your thermostat is located in the home. If your air conditioner isn’t maintaining the right temperature in your home, it could be that your thermostat isn’t reading the home’s temperature accurately. If you placed a new television or other piece of hot equipment near the thermostat recently, it may start reading your home as being hotter than it is, simply because it’s warmer in that particular spot. You may also find that electronics, air flow, window placement, furniture placement, and other features make the home feeling warmer or cooler in certain areas. If you have a large television in your living room, but the thermostat is placed in a dark, cool, drafty corner of the house, you won’t get the cooling you need with standard settings. Rearranging your home may solve many of your problems. It may seem obvious, but many people call a professional for AC repair before looking at the thermostat closely themselves. It takes only a moment for a small child to turn the air conditioning from “auto” to “off.” This makes it seem like your unit isn’t functioning when it’s simply not in the right mode. If someone accidentally switches the setting from “air conditioner” to “fan,” it will seem like your AC unit is running continuously yet blowing out warm air. Double check your thermostat settings and make sure they’re correct before you go to the trouble of calling an HVAC technician. Your problem could be as simple as flipping a switch. Head outside and check your condenser unit. Make sure it’s clear of obstructions for at least two to three feet in all directions. If you have tall grass, leaves, underbrush, or debris that’s too close to the unit, it will obstruct the airflow, making it more difficult for your air conditioner to deliver crisp cool air to your home. Clear away blockages to restore better airflow to your system. The condenser unit requires regular maintenance to stay in top condition. If you haven’t had your unit serviced in the last year, it could probably benefit from a thorough cleaning. Turn the unit off at the breaker. Take a garden hose and spray upward into the condenser unit to get rid of dust buildup on the condenser coil. Make your way around the unit, cleaning it from all sides. Finish by spraying downward to flush out the dust, dirt, and other debris down and out of the unit. If these DIY fixes don’t resolve your problem, it’s time to turn to a professional HVAC technician. If you have a home warranty that covers AC, you can simply reach out to your provider to get in touch with a qualified local technician. Many home warranties cover issues with your air conditioner, so you won’t have to worry about the expense of a repair if something is wrong.